November | 2013 | POMS AWAY! I must admit, though, that I was not looking forward to sleeping in a campervan for two weeks. 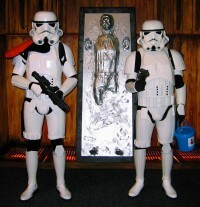 I was at that age when one especially prefers the privacy of their own bedroom, and I was bitterly disappointed that we could not afford to stay in a hotel every night, but that disappointment melted when we first climbed into our campervan at the depot in Christchurch. The whole thing suddenly became rather exciting. The campervan we had was laid out similar to this one. My little sister immediately bagsed the double bed above the cabin, which you had to climb up a little ladder to get to and had its own curtain, so you could create a secret den for yourself. I was stuck sharing the double bed at the rear with my nana, but I was consoled by the fact that the bed was brought into being by transforming the dining table and the couches around it. It’s the small things that delight, isn’t it? After Christchurch, Dad drove us in the campervan to Akaroa, a peaceful, French-influenced village on Banks Peninsula. This is one place I really want to go back to. It’s so romantic, full of old-fashioned cottages with beautiful front gardens, wine, cheese, craft shops and, best of all, dolphins. The Akaroa Harbour is only place in the world where you can swim with the world’s smallest and rarest dolphin, the incredibly cute Hector’s Dolphin. Akaroa also had the best campervan park I can remember staying at: the Akaroa Top 10 Holiday Park. It was located on top of a hill with an amazing view over the sparkling harbour, and it had a pool and awesome playground for us kids. This was when I realised that campervans are better than hotels. You don’t have to unpack and repack all the time – with the exception of making sure things are secure for when you’re on the move – and you have the freedom to go wherever you want. There was the Otago Peninsula, officially one of the most beautiful places in the world, right next to the city of Dunedin: as well as stunning views, serene walks and a castle, there’s the world’s only mainland Royal Albatross colony. Seeing the huge, fluffy, white chicks was fantastic. There was Franz Josef Glacier, which you can land on in a helicopter or climb on with ice axes or, if you don’t fancy an expensive tour, you can simply walk up to it like we did. It was truly awe-inspiring. If you want proof of that, I wrote a poem after seeing it. Then there was Queenstown. Now Queenstown is the adventure capital of New Zealand. A few days there can bleed you dry, but – my goodness – I loved it. 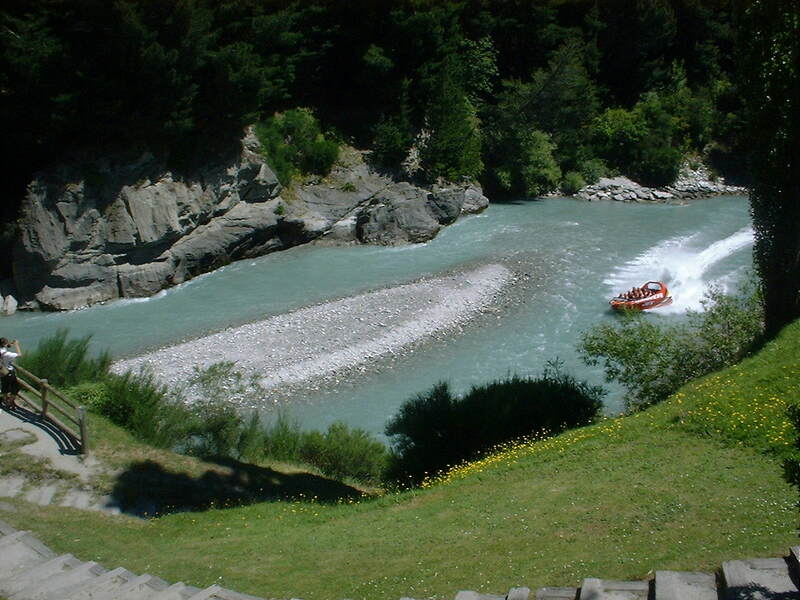 We did a jet boat ride in the Shotover River canyons. We’d been jet boating before in a few locations around New Zealand, including Lake Taupo, but this was by far the most thrilling of them all. It was the most scenic as well, as it was where they filmed the River Anduin scenes in The Lord of the Rings: The Fellowship of the Ring – you know, the bit where they canoe past those giant statues? The River Anduin wasn’t the only Lord of the Rings location we encountered on that holiday. We did a horse trek with the Glenorchy-based Dart Stables that passed through Lothlorien and along a ridge overlooking Isengard and the Wizard’s Vale. The horse I rode had actually been ridden by one of the Rohirrim. 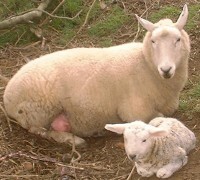 My mum was aching when we got back to the campervan that day, but I felt so alive. What was nice about having the campervan was we could have quick showers wherever we were. I mean we didn’t have to wait until we got back to a hotel, as the shower was in our car, as it were. This was most useful when we at beaches. The campervan was like our own private beach hut, somewhere to get changed right next to the sand, and somewhere to cook a meal too. What wasn’t so nice about the campervan was waking up in the middle of the night whenever someone rolled over in their sleep, shaking the entire thing. It wasn’t nice being cooped up with a certain someone who snores like a dying wildebeest. It wasn’t nice using having to use the toilet after someone had just showered, as the toilet and the shower are in the same cubicle. But these, at least, are the only downsides I can think of. 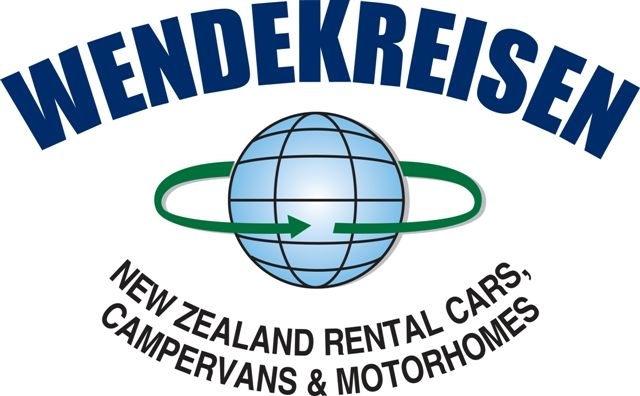 All in all, that campervan tour of New Zealand’s South Island was the best holiday my family ever went on and I’d recommend New Zealand campervan hire any day. It’s common for New Zealanders to complain about the weather. The phrase ‘four seasons in one day’ is used annoyingly often, yet while it can be gloriously sunny in the morning, fooling you into leaving your jacket at home, and then bucket it down in the afternoon, it’s rarely bad for long. Coming from Britain, I can confidently say that New Zealand’s weather is better. It is warmer, drier, sunnier and generally more cheerful. There’s a reason New Zealand’s famous for barbecues and Britain’s not. 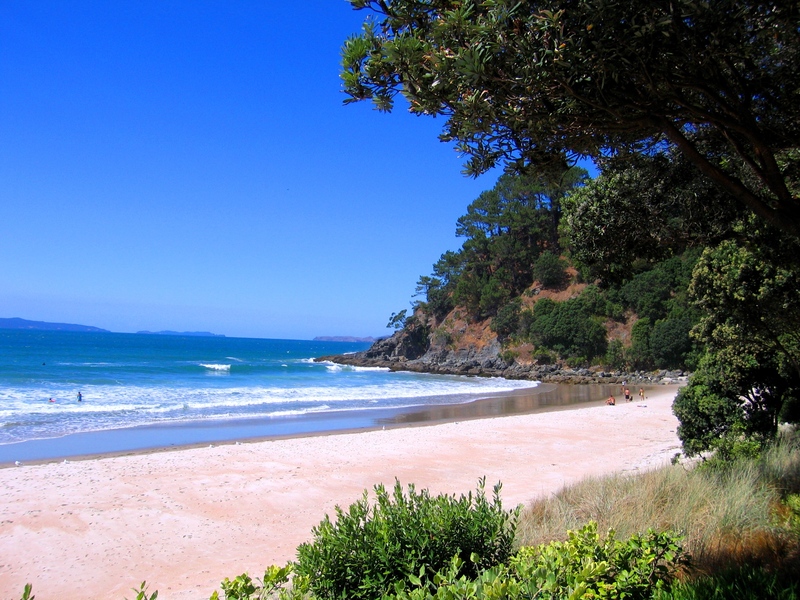 Nearly three-quarters of all New Zealanders live within five kilometres of a beach, most of which are ten times more beautiful than any beach that Britain has to offer. They are less spoiled for starters, boasting not only pristine sands of the yellow and white variety, but luxurious soft, black volcanic sand. They range from wild, rugged surfing beaches to relaxing swimming and sunbathing beaches, all with picturesque geological features. In Britain, going to the beach was a rare treat; now I can walk to one whenever I want. 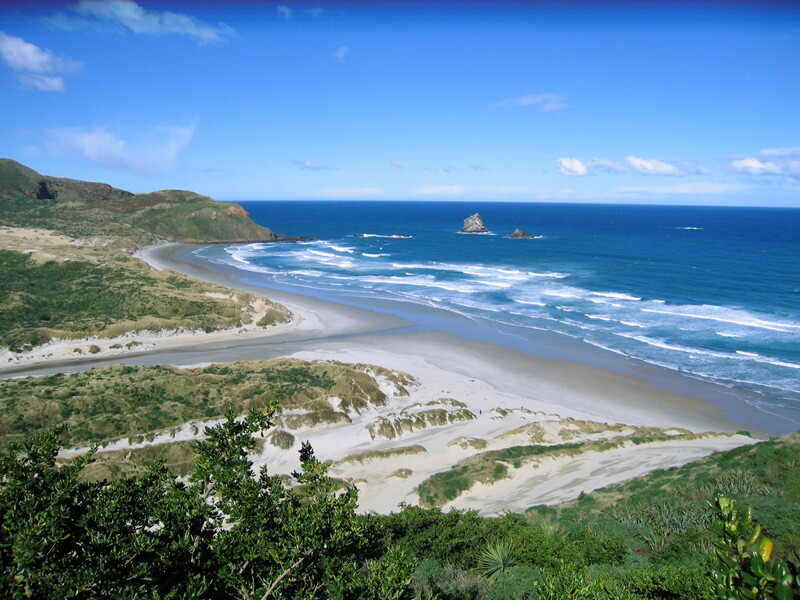 New Zealand’s beaches are truly a wonder. In Britain, one of the main things you hear about New Zealand is how green it is. 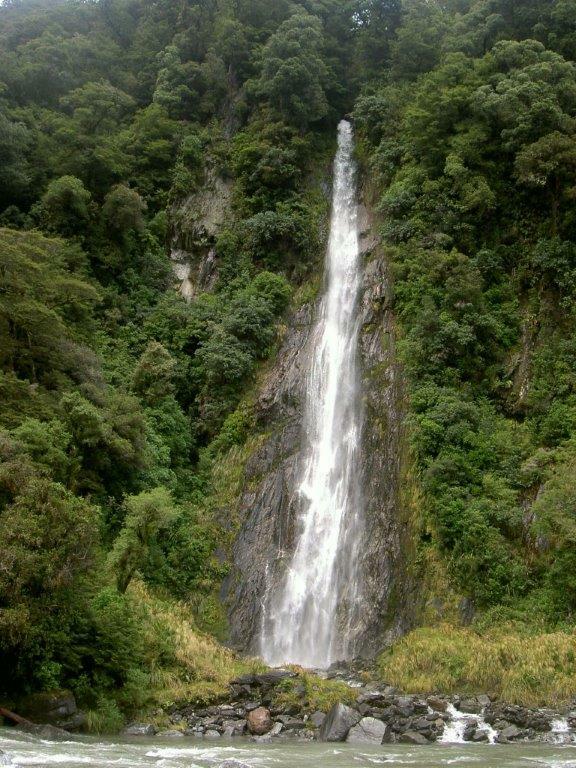 Mostly, this is meant in the sense of the ‘clean, green’ environmentally friendly image, but New Zealand is also green in a literal sense: there is a great deal of protected, unspoiled countryside. 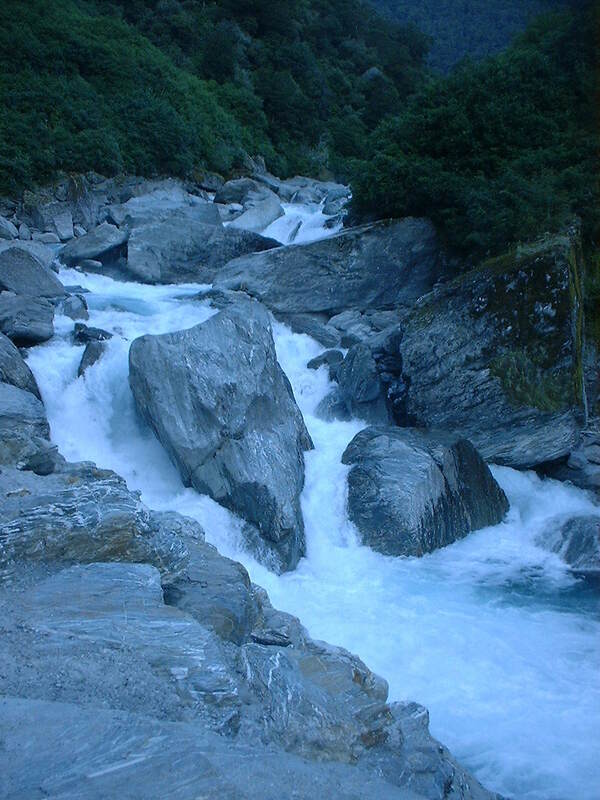 Kiwis seem to have an innate appreciation for nature – the great outdoors; God’s own – and pursuits such as camping and tramping are very popular. New Zealand’s native bush is incredibly special and the ‘bush walk’ is something you cannot escape if you come here. 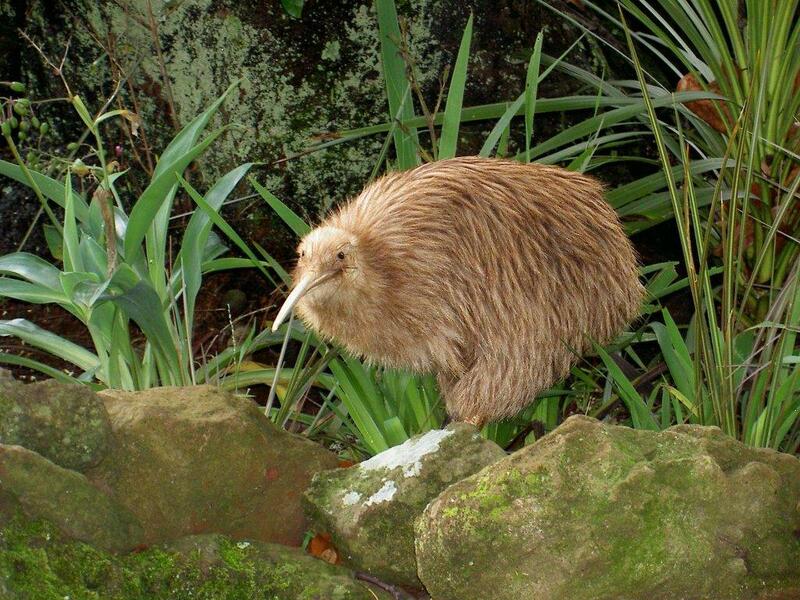 Contained within New Zealand’s bush is a collection of endangered birds that exist nowhere else in the world, the most famous of which is the kiwi. I have never encountered a kiwi in the wild, but seeing a mating pair at Auckland Zoo was an enchanting (and highly amusing) experience. I’ve seen plenty of other examples of New Zealand’s unique wildlife actually in the wild, though. 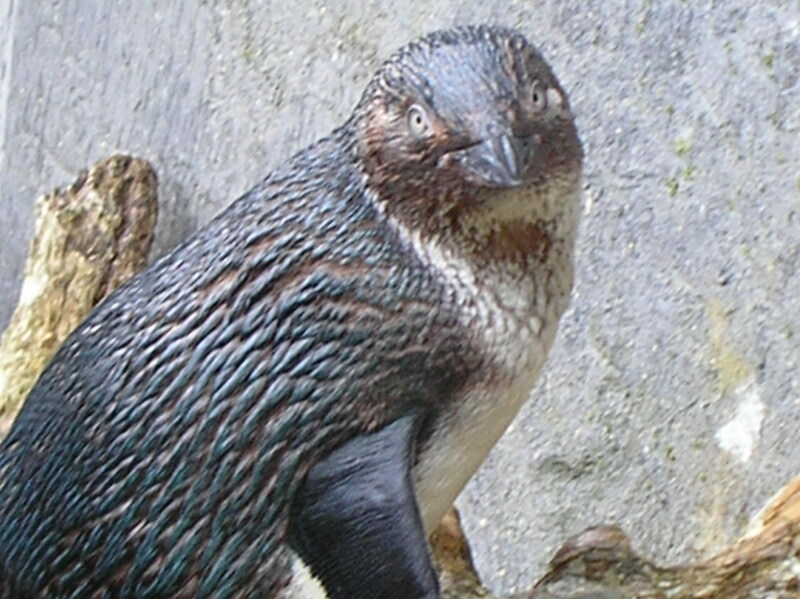 My two favourite native birds are tuis – songbirds with shining plumage adorned by a duet of white baubles at the throat – and keas – alpine parrots with devilish intelligence and barefaced cheek. New Zealand is also the best place in the world to swim with dolphins. 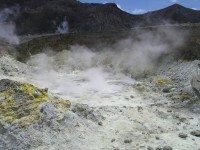 Depending on your point of view, an abundance of volcanic activity may not seem like a reason to live in a country, but everything – the threat of natural disaster included – is relative, and I for one love living within easy driving distance of the utterly magical sights of geysers, hot pools, mud pools and lava flows. Britain seems boring by comparison. There’s something mysteriously exciting about the eggy smell; the steam rising around you; the thought that the hidden underworld is close at hand. Places like Rotorua and White Island are literally on the edges of the earth. 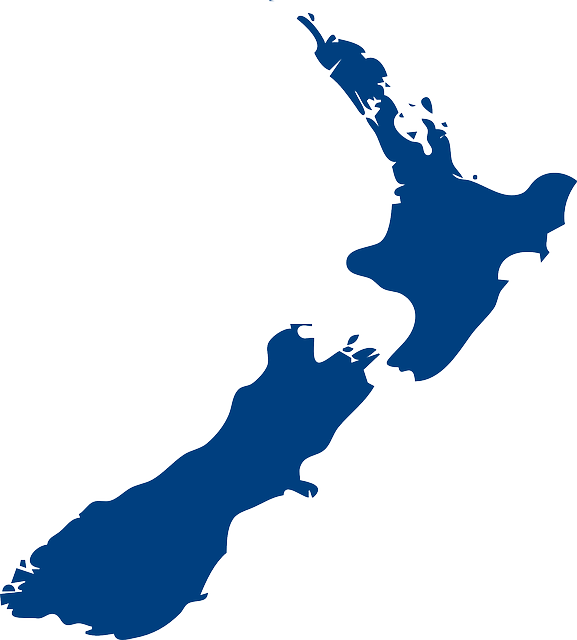 New Zealand is famous for being a small country – its population has only recently broken the four million mark. Compare that with Britain’s excess of sixty million. But what many people don’t realise is the actual land area of New Zealand is larger than the land area of Britain. No wonder it seems like Brits are perpetually elbowing each other out of the way to get to where they want to be. The people of New Zealand actually have space to breathe. To be individuals. To live. Kiwis are an undeniably friendly race. 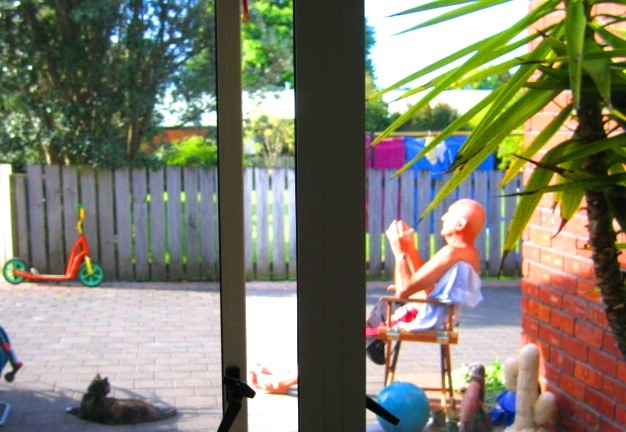 When I first moved to New Zealand, it was almost disconcerting how interested in me strangers were. Brits are so cold by comparison. They also whinge while kiwis maintain a more positive attitude. 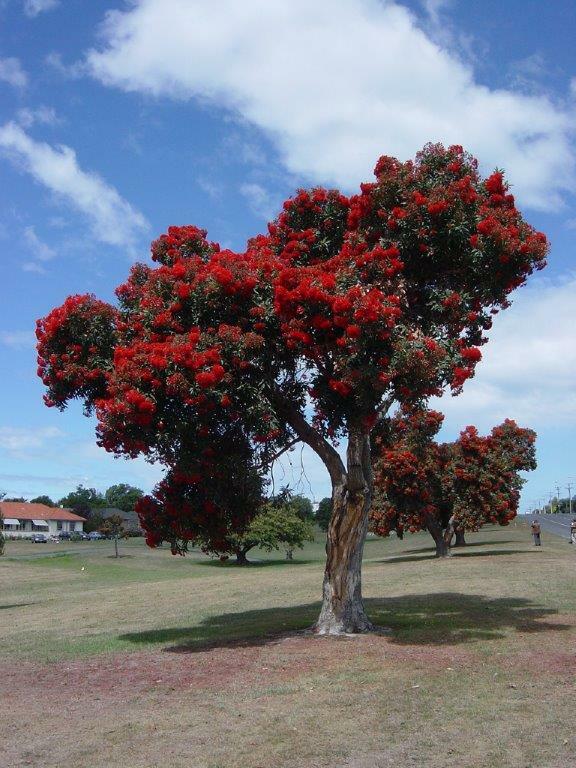 The people of New Zealand are not so judgemental – image is less important to them – and anything goes. New Zealand has no class system. People from all walks of life end up here. To me, it’s always felt like a safe place, but I didn’t realise how much I’d come to take that security for granted until I returned to England for a visit a few years ago. Kiwis smile at you in the street. If there’s anywhere in the world you can rely on the kindness of strangers, it’s New Zealand. I was a child when my family immigrated to New Zealand, so while I can confidently say that school in New Zealand is easier than school in England, I have never experienced the demands of working life in any country other than New Zealand. However, every adult I’ve talked to who has tells me that life in New Zealand is far simpler than elsewhere in the western world. The wages may be lower, but the quality of life is definitely higher. Life is lived at a slower pace. There is a healthier work-life balance. In New Zealand, expectations are lower – in a good way. There is less pressure. Good enough is good enough. Go with the flow. She’ll be right. New Zealand is a country of immigrants – even the Māori, the native inhabitants, are relatively recent arrivals. It is nice to live in a place where tribal culture and the values that go with it are still in evidence. 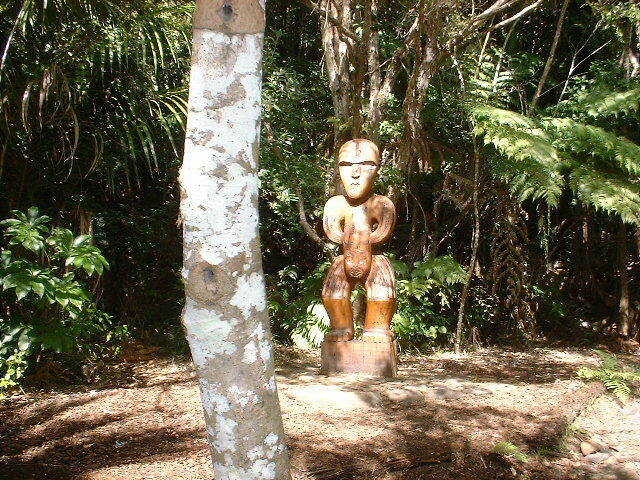 The presence of Māori names, art, customs and tourist experiences make New Zealand unique in the world, not just another European/Americanised western country. Of course, New Zealand is a Europeanised country, but it has so many influences from so many places around the world, especially Asian countries, that it’s a complete melting pot. It has an abundance of wonderful and, compared to Britain at least, relatively cheap restaurants that serve delicious fusions of tastes. Since moving here, I’ve become a real foodie. 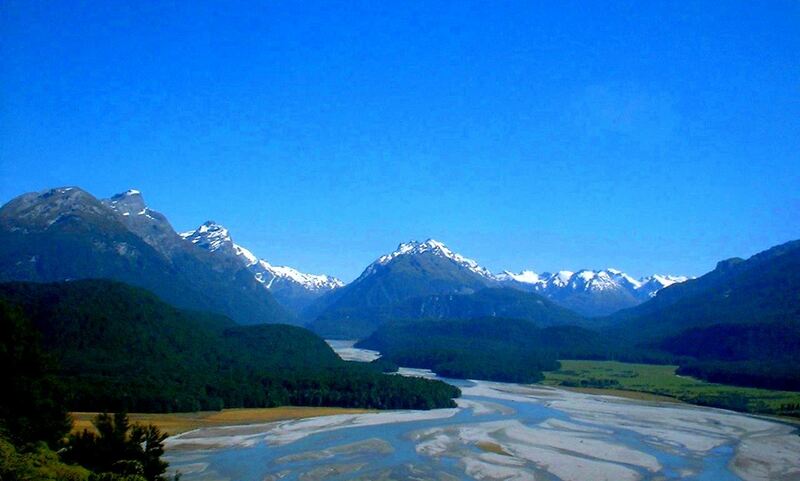 New Zealand is the ultimate holiday destination – even if you already live in it. 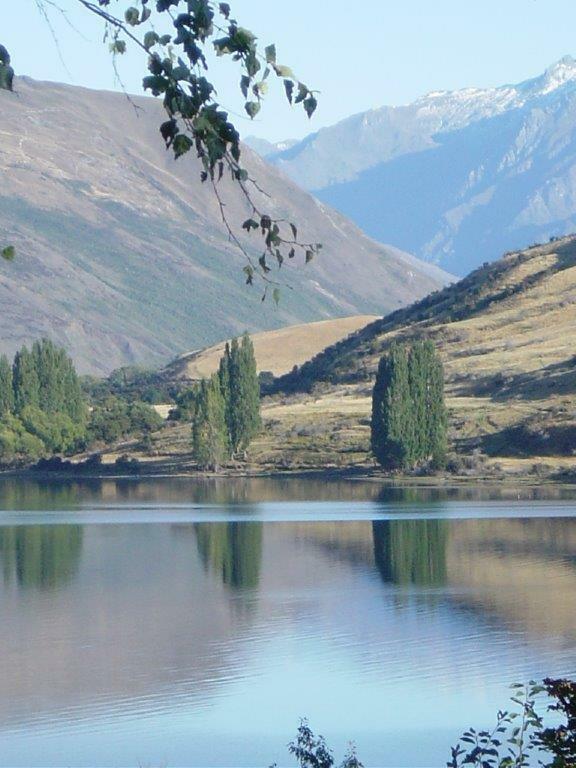 The country is so varied you can never tire of exploring it, so buy a campervan in New Zealand and get out there! Seriously, you can’t drive anywhere in New Zealand without passing at least one campervan on the road – and it’s easy to see why. This is not a country you can experience from one spot. The North Island is so different from the South; the east coast so different from the west, and it’s down the side roads that the special places lie. So my advice would be to hire a campervan in New Zealand when you come, be it to live or just for a holiday. One thing is guaranteed either way: you’ll never want to go back. Life in New Zealand is AWESOME. P.S. 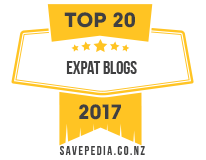 – This is a list from my new website, NZ Top List. 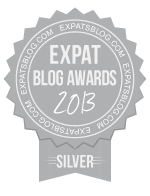 Check it out to browse more lists about life in New Zealand and the many fantastic places to go. As I write this article, screeches, bangs and cracks punctuate my train of thought, accompanied by luminous colours at the dark window. It’s the fifth of November, but it won’t be for much longer. 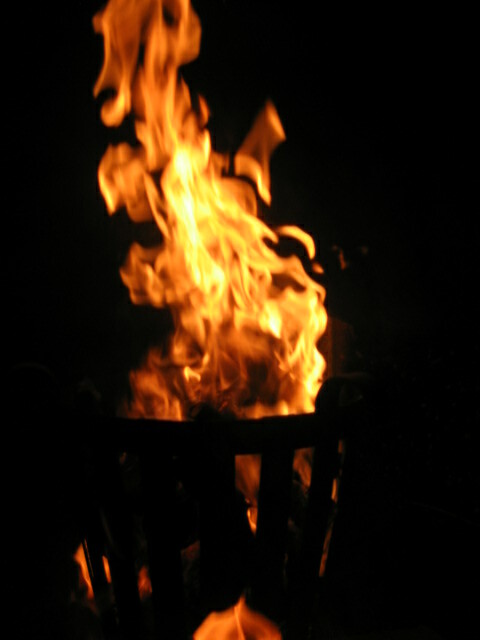 I’m not celebrating – it’s a Tuesday night and it’s raining – and, besides, I went to a bonfire party last Saturday. I didn’t celebrate Halloween. That was last Thursday and my boyfriend had an exam the next day; Halloween isn’t that big in New Zealand anyway. Some people would disagree with me – I mean it isn’t that big compared to America, or even Britain. It is celebrated: the occasional shop or café puts up decorations, one or two kids come to your door in token outfits, there are a few fancy dress dos… nothing major. Costume places make a huge effort, of course, but during my twelve years in New Zealand I’ve found that a much bigger deal is made out of Guy Fawkes, or Bonfire Night. Because, you know, kiwis love explosions. Coming from Britain, Halloween in New Zealand has never seemed quite right to me in the first place. In the Northern Hemisphere, Halloween happens just as the world is about to be plunged into the darkness of winter; in the Southern Hemisphere, it happens as we’re entering summer. Nothing particularly spooky about that. As for Bonfire Night, no one cares about its significance – it’s just an excuse to blow things up. The sale of fireworks is illegal in New Zealand except for on the fifth of November itself and the three days preceding it, so you have to stock up in advance for your New Year celebrations. Also, rockets are banned. I found this fact disappointing when I first moved here, but so many people are irresponsible with fireworks that I’m now quite glad. You always get teenagers sneaking fireworks into school and singeing their eyebrows. You always get drunken idiots holding them in their hands and firing them in any direction but the sky. And as for the people who aim them at animals… For some reason I find the thought of cruelty to animals worse than cruelty to other humans. Thankfully, most people are responsible and all the bonfire celebrations I’ve been at have been good fun. Well… apart from this year’s. I’ve never feared for my life quite so much as at this particular bonfire party. It was a large gathering. It took place on a big property with an appropriate field. There was an impressive bonfire going when we arrived. There were three distinct groups of people: high schoolers, students and the parents of the high schoolers and students. Surprisingly enough, we, the students, were being sensible young adults, not letting off any fireworks, though this was because there were already heaps of fireworks going off around us. The high schoolers – (I find it amusing to be grumbling about ‘immature teenagers’ when I was a teenager so very recently) – weren’t paying attention to where they were pointing the fireworks, every so often sending one in our direction, causing us to scatter. The problem was that there weren’t really any safe places to scatter to, as, on the other side of us, the parents were being almost as bad, shooting fireworks into the bush! It’s been a particularly dry year this year, so it was lucky the undergrowth didn’t catch fire. Oh, and just on the other side of the patch of trees was the neighbours’ house. But they were on holiday, so it was all right. Of course. What’s the point of shooting fireworks into the bush anyway? You can’t see them properly. It’s a waste. Maybe it would explain a lot if I told you that this bonfire party took place in West Auckland. 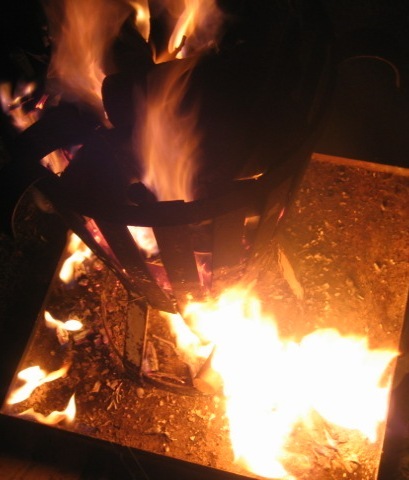 I attended another bonfire in West Auckland several years ago. It was in a huge field that had an old caravan in it. Someone had a dog that was running madly around and around the bonfire. Then someone threw a stick onto the bonfire and the stupid dog followed it. It was fine! Relax! There was a hose on hand. Its fur was just a bit frizzled. The best Bonfire Night I ever had was when my mum, my dad, my sister and I went to our friends’ house in… well I’d better not tell you where. My parents are teachers, and all their friends are teachers, and I was a student at the high school where my parents and their friends taught. And this house we went to was next-door to the school. Now, this group of us, which included several teachers of this high school and all their children, had a load of fireworks to set off, including ground bloom flowers, those ones that spin on the ground and you can battle them like tops. The garden, however, was a bit small, and there was nowhere to safely set the ground bloom flowers off. What we needed was a large, flat, concreted or tarmaced area – where better than the school quad? So we sent the little fireworks spinning off across the quad and had a lot of fun. Then cold, harsh light of Monday morning came. I was in assembly and a rather annoyed school principal was standing at the lectern. I sat there stifling my laughter as I imagined the sheepish looks that must have been crossing particular teachers’ faces. No one came forward. 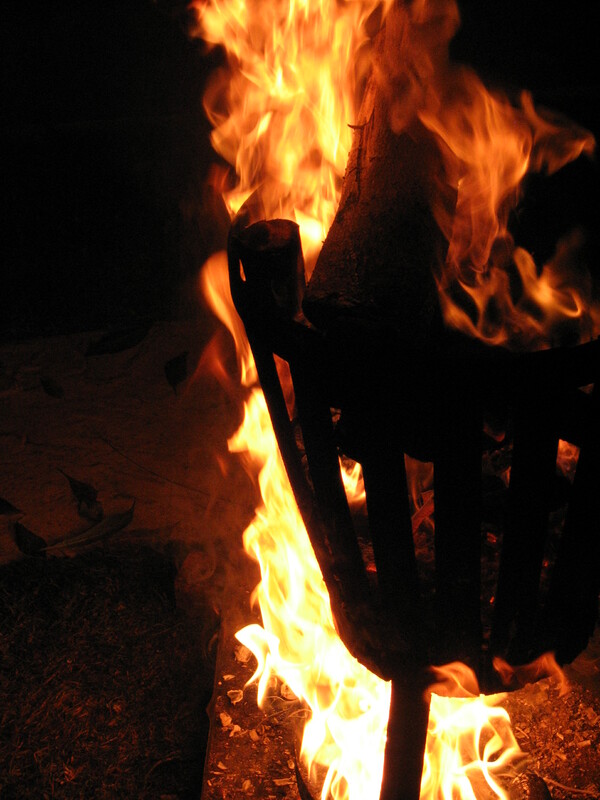 I suppose a good thing about Halloween and Bonfire Night in New Zealand is it’s a lot warmer being outside than it is in England. It’s probably safer for kids to go trick-or-treating too. There are also more open spaces to let off fireworks, although you do have to be careful about starting bush fires. There are many ‘FIRE DANGER TODAY’ signs around the rural areas of New Zealand, which have a moveable arrow indicating the current level of risk. 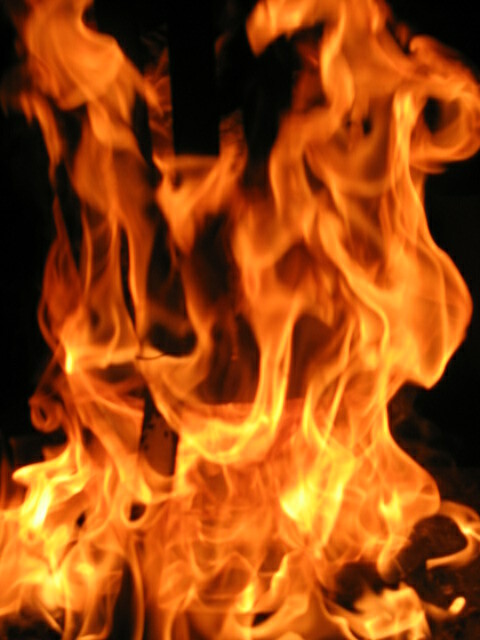 Depending on the ‘fire season’ and the council, you may need a permit to light a bonfire, but you aren’t likely to be granted that permit if the risk is ‘HIGH’ or higher. Just be sensible.